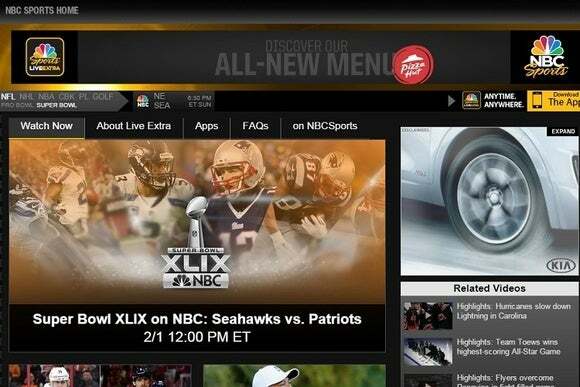 If you're looking to watch Super Bowl XLIX online this Sunday, NBC has you covered. 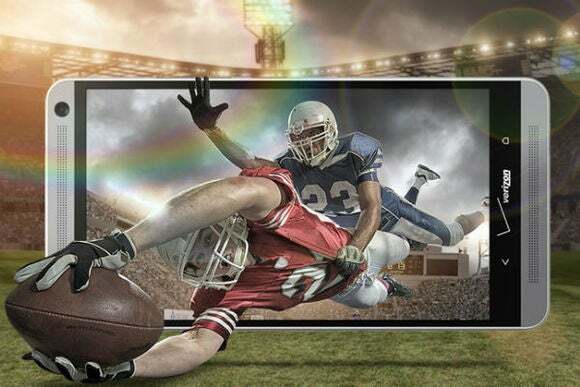 Just like other networks that have offered a free live stream of the Super Bowl in previous years, in 2015 NBC will make the game available through its NBC Sports website and mobile app. Still, getting it onto the device of your choosing could be tricky, so read on for the best ways to watch the Super Bowl without a cable subscription. This one’s easy: Just head to the NBC Sports Live Extra Website to watch the game for free. There's no need to sign in or jump through any other hoops, and you can tune in as early as noon on February 1 to get your fill of pre-game coverage before the 6:30 p.m. EST kick-off. The live stream even includes the halftime show, which wasn't the case the last time NBC streamed the Super Bowl in 2012. Watching from an iPad is also easy enough, as you can simply download the NBC Sports Live Extra app to watch the live stream. Again, no cable login is required. Phone access is more complicated. The NFL Mobile app will have a live stream of the Super Bowl, but only for only Verizon Wireless customers. And if you don't have a “More Everything” shared data plan, you'll need to sign up for a $5 monthly fee to access the game. Without Verizon, your best bet for remote access is to just take a tablet or laptop with you, then set up a mobile hotspot on your iPhone to provide the Internet connection. This image depicts Verizon intercepting football from everyone else. Three cheers for long-term licensing agreements! If you really want to get fancy, you can try using a remote desktop app to connect with your computer at home and access the NBC Sports website remotely. Chrome Remote Desktop does a decent job with video streaming, though getting audio to work can be a hassle. Splashtop also works well for streaming media, but requires a subscription for mobile network access. In both cases, you'll want to plan ahead and set up these solutions before you leave the house. Before you even think about streaming the Super Bowl on Apple TV, first consider using a plain old antenna instead. You can buy one for under $20 from your nearest big box or electronics store, and you’ll get smooth, high-quality video that rivals what you get from cable. TVFool.com can help you figure out if you're in broadcast range. Alternatively, you can set up AirPlay mirroring on a Mac to stream the game from the NBC Sports Live Extra Website. 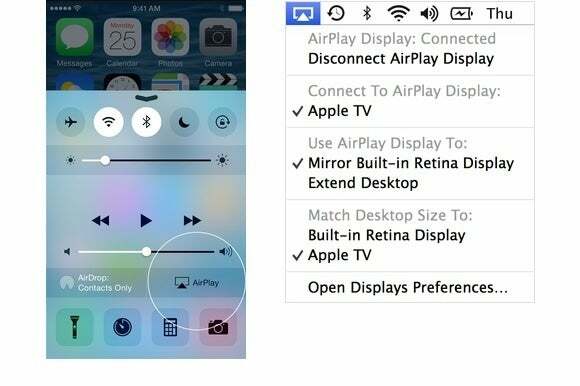 Just look for the AirPlay menu on your Mac, or turn to Apple's site if you need further instructions. In both cases, you should plug in your device to avoid battery drain, and disable screen lock to avoid any interruptions in the stream. With all of these possibilities, hopefully you can find some way to watch the big game even without a cable subscription. If not, head to your nearest bar; you'll probably need it after you've exhausted every other effort.